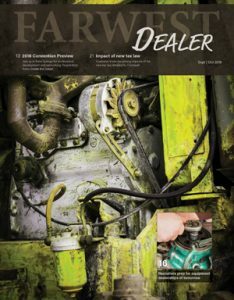 The FARWEST Dealer is a bimonthly publication of the Far West Equipment Dealers Association. Our dynamic content covers issues and topics relevant to agricultural, industrial, material handling, hardware, lumber, outdoor power and rental equipment dealers in Arizona, California, Colorado, Hawaii, Nevada, Utah and Wyoming. 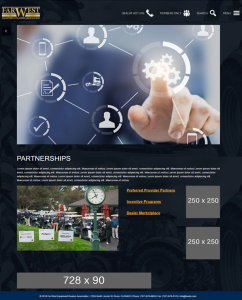 FARWEST Dealer is sent to more than 1,500 members and industry partners. Advertise your business throughout our website and Online Membership Directory. 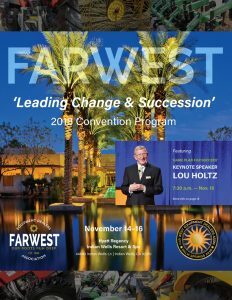 The Far West Convention Program is a high quality publication released in conjunction with our Annual Convention. It includes important information about the Convention including a schedule of events, speaker information, a list of attendees and more.